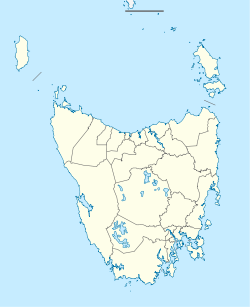 Narcissus Hut is an alpine hut located in the Central Highlands of Tasmania. It was built in 1935 and rebuilt in 1963. 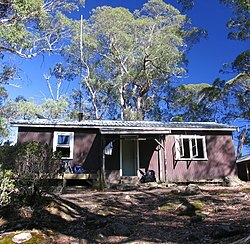 Narcissus Hut is located on Lake St Clair, on the Overland Track. 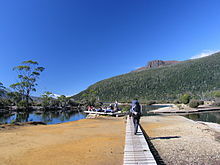 To the north, the Overland Track follows the Narcissus river to Windy Ridge Hut, approximately three hours walk. To the south, it skirts the southern shore of Lake St Clair for 5–6 hours, arriving at the Cynthia Bay trailhead, and the Visitors Centre. Walkers arrive at the Lake St Clair Jetty.